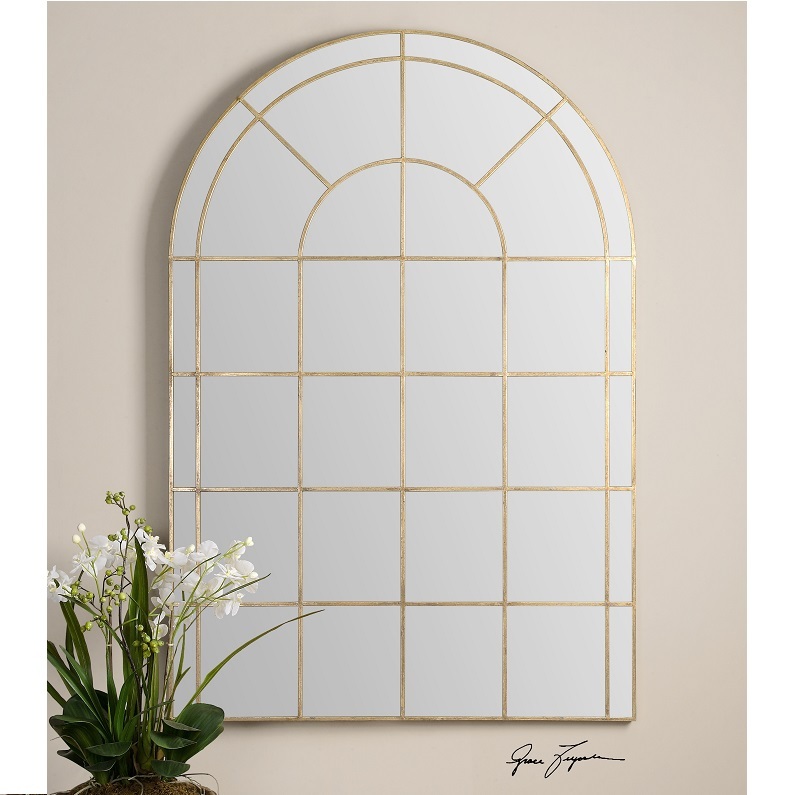 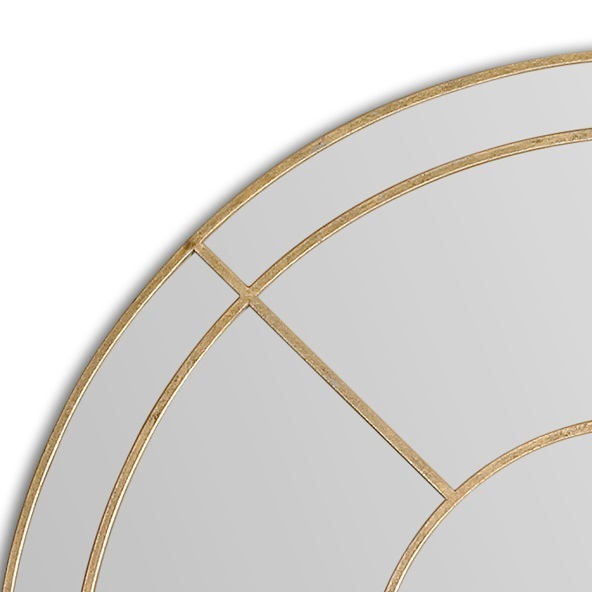 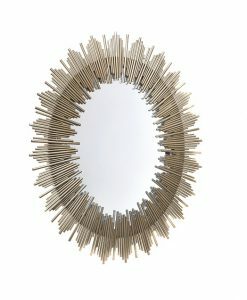 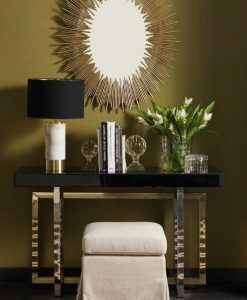 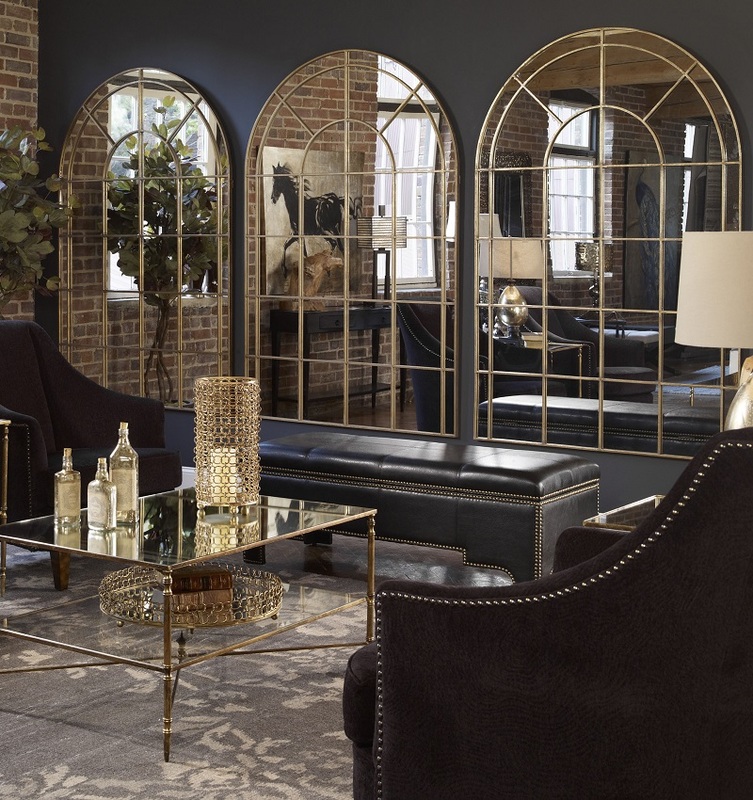 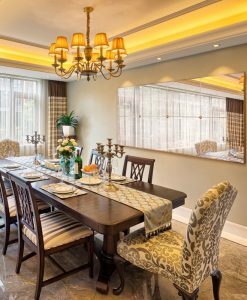 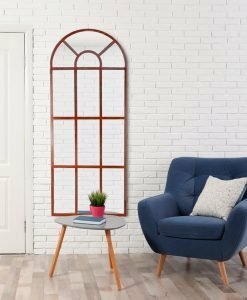 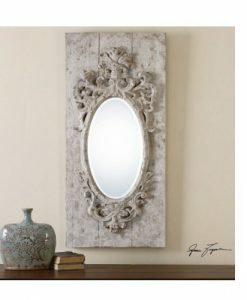 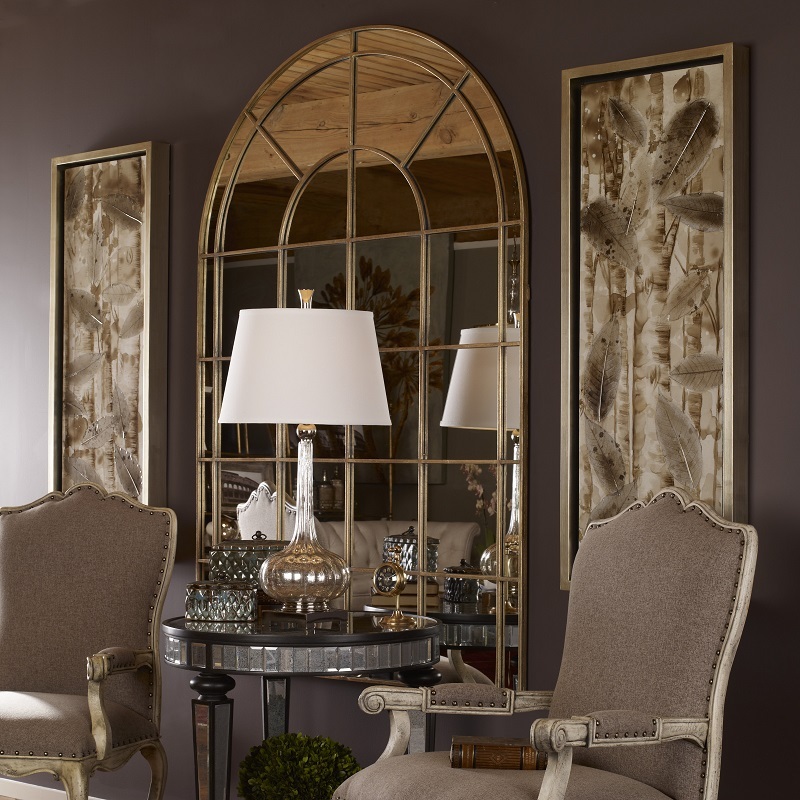 The exquisite Grantola Arched Mirror is made from Hand Forged Metal, Finished In An Antiqued Gold. 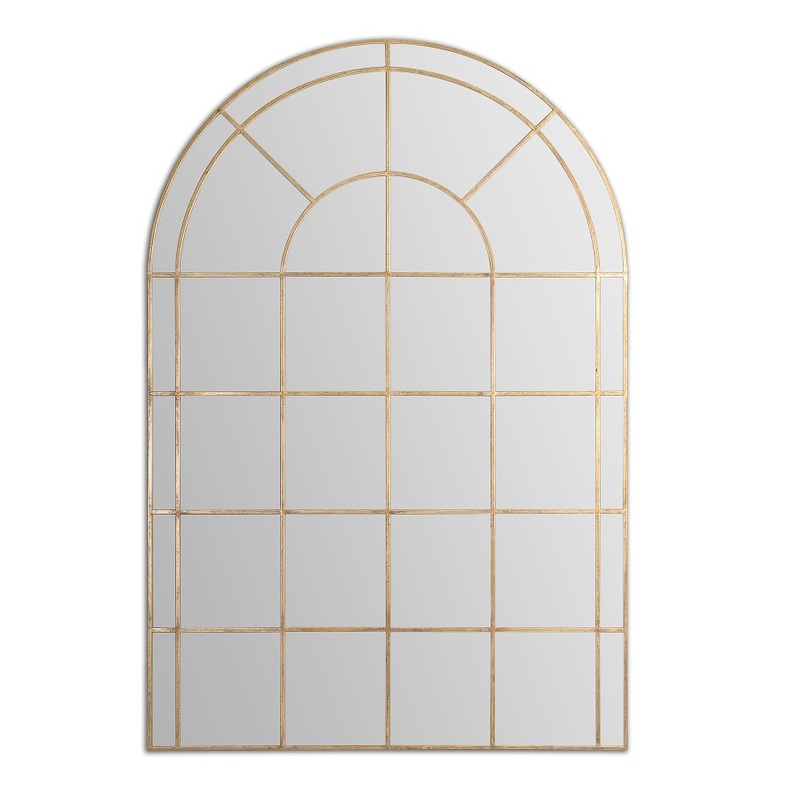 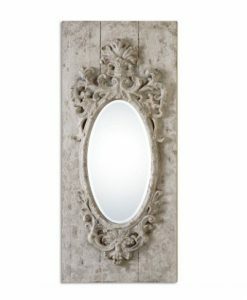 This beautiful Cathedral Arched mirror has been designed with the utmost attention to detail. 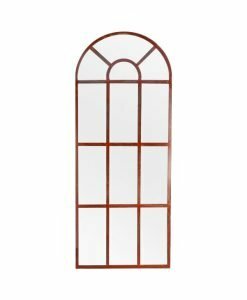 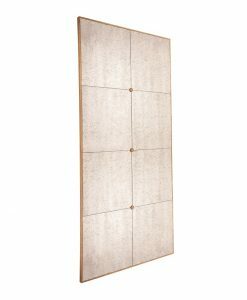 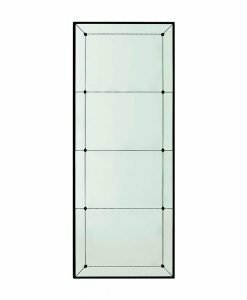 It’s iron forged mullions divide the Mirror inlay to create a perfect window pane illusion. 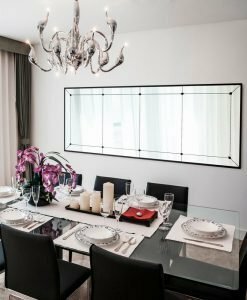 Lean or Wall Mount multiple arched mirrors in series to open up the interior space and reflect beyond your open floor plan.